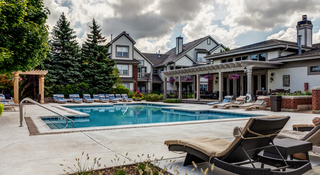 At The Aventine at Oakhurst North, we commit to consistently deliver a superior resident experience. In order to achieve this commitment, we rely on being transparent about the voice of our customer when it comes to who we are and what we do. Below, you will find reviews and testimonials from current and former residents. Read through these reviews and discover why the apartments at The Aventine at Oakhurst North Apartments are some of the top-rated in Aurora, IL. Reviews help us identify two areas: areas of opportunity and areas of strength. While face to face conversation is preferred in instances where we haven’t met your expectations, we welcome your feedback and hope that you will take the time to leave us a review.